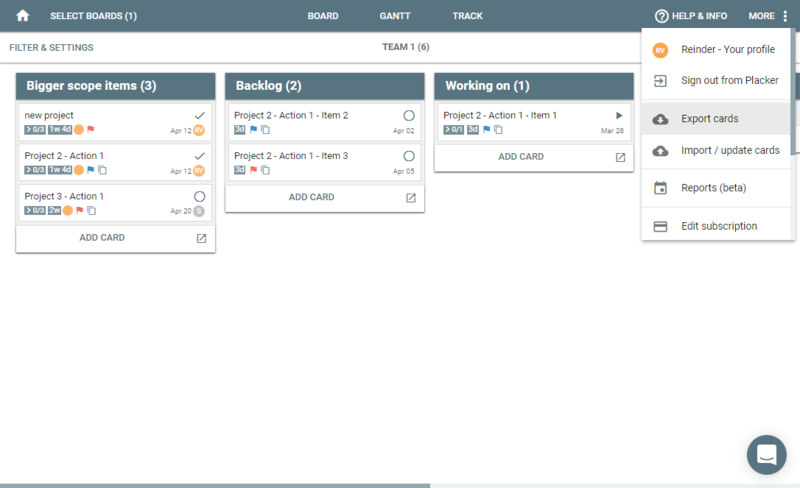 How can I export my Trello board? This article describes how to export your board into Excel (or google spreadsheet). You can go to the export page from the more menu in the top right, first make sure your board is imported into Placker, then go to the export page from this menu. 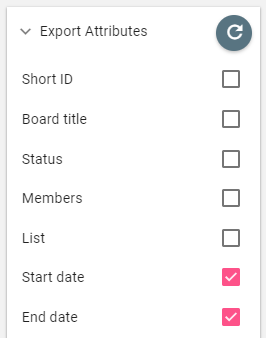 When you go to the export page, the raw card data of your board will be shown in the textarea, you can select different or multiple boards from the select board button (top left). Filter & settings panel, when you open this panel you will be able to set a filter of change the export settings, be sure to click on the refresh button after changing the settings to refresh the exported data. 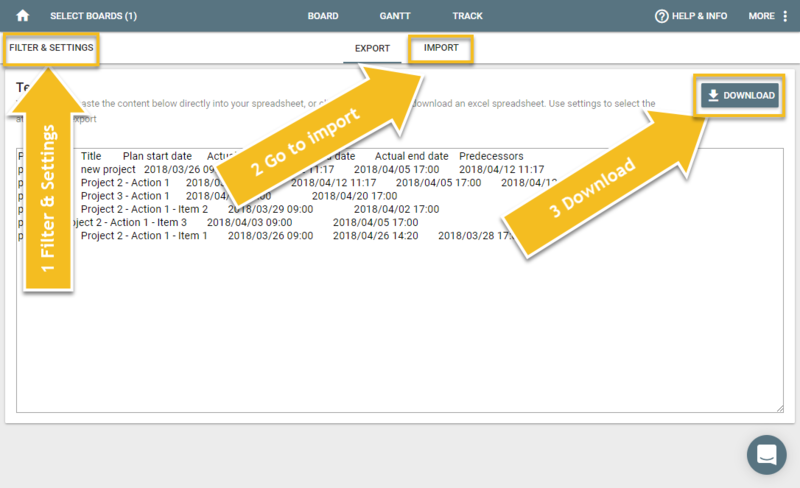 Go to import to import or update cards, this works great when you need to mass update a certain attribute, when you use the exported excel to import your cards, the date, time and number settings will be automatically detected. Download to generate an excel file from the raw data that is shown. Alternatively you can simply copy and paste the content of the text area in your spreadsheet to copy the data. 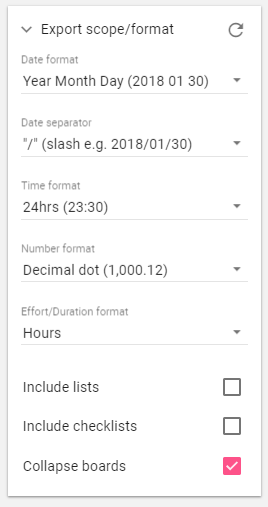 This allows you to localize your time settings and what you like to include in the export, by default only cards will be exported, when you enable include lists and include checklists, also lists and checklists will be included. In the export attributes you can set the attributes that you want to export, be sure to click the refresh button (top right) to refresh the raw data. When enabled, also archived cards will be included in the export, please note that we can only show archived cards that have been archived when the board was connected to Placker (so the source is Placker).